We invite you to join an audience of consumers, healthcare providers, policy-makers, and researchers to consider burning issues now surrounding implementation of a person-centred My Health Record – is this possible? How can healthcare consumers/patients drive this process? What are the views of all key stakeholders in implementation? – Dr Sophie Hill (La Trobe University) on the problematic health literacy demands of public-facing information and the My Health Record; and many more! 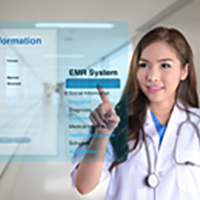 The interactive symposium will cover topics relating to some of the controversies and conundrums facing digital health consumers as they begin to engage with My Health Record with their service providers, many of whom are not yet using the Record. Presentations and discussion with the audience will consider gaps and areas for growth in public-facing information about My Health Record, and ways that organisations can begin to engage with this digital innovation in safe and inclusive ways. The impact of My Health Record on healthcare safety and decision-making will be the focus of discussion with the audience. We aim to draw upon discussions in this symposium to develop an ‘evidence brief’ that the Digital Health Agency can make use of in its development and implementation of My Health Record. HISA Members $20.00. Non Members $30.00.